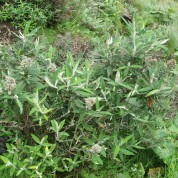 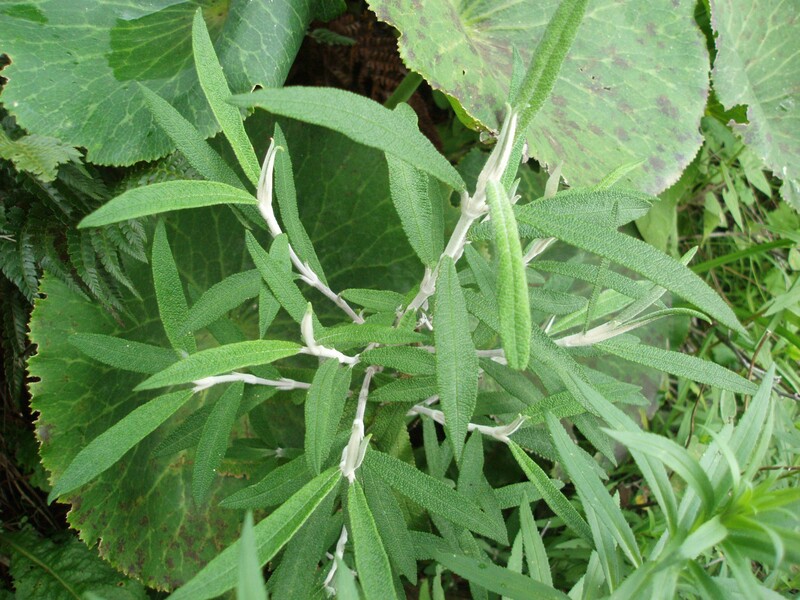 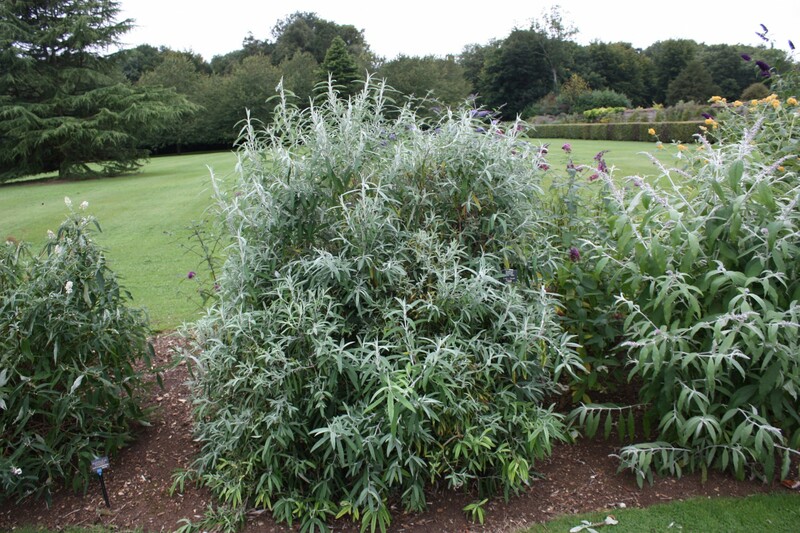 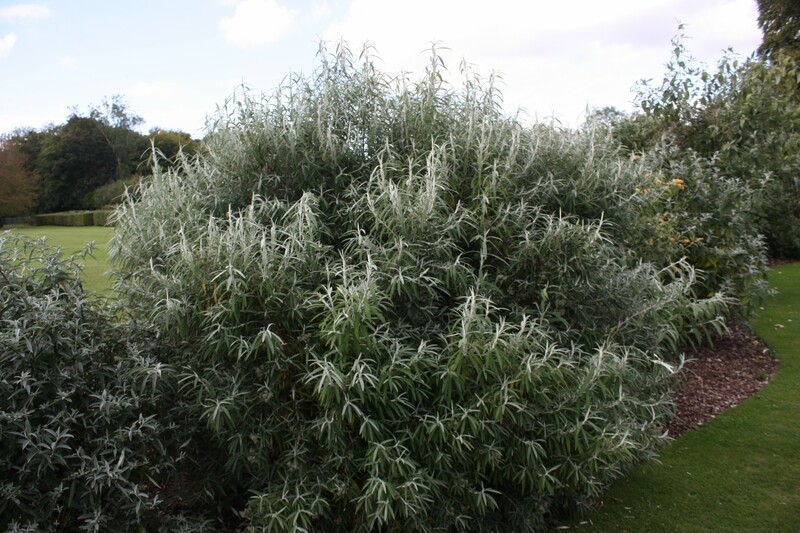 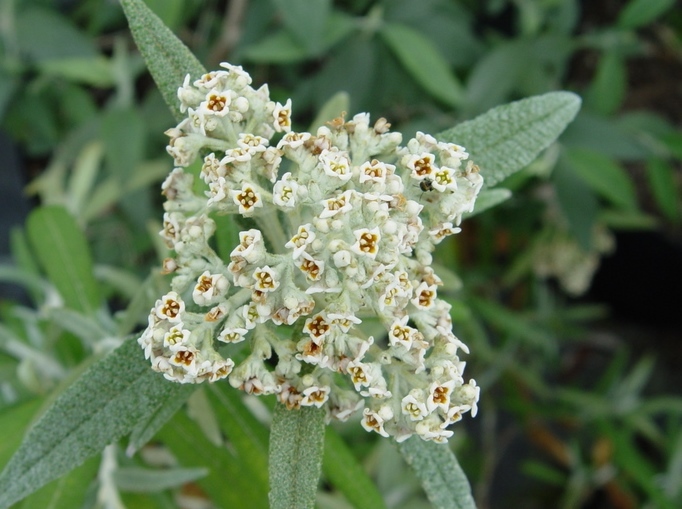 Buddleja loricata forms a evergreen bushy shrub which is fully hardy in the UK and resistant to drought and heat. 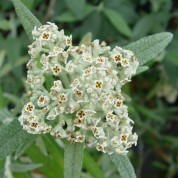 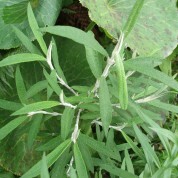 The white – cream flowers are borne in heads at the end of terminals and are honey scented. 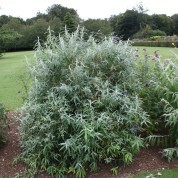 Pruning is not required, only use if shaping is required. 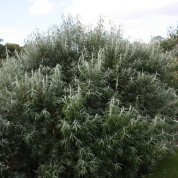 Named and described in 1975 by Dutch botanist, Anthonius Josephus Maria Leeuwenberg, B. loricata has only recently been introduced into cultivation. 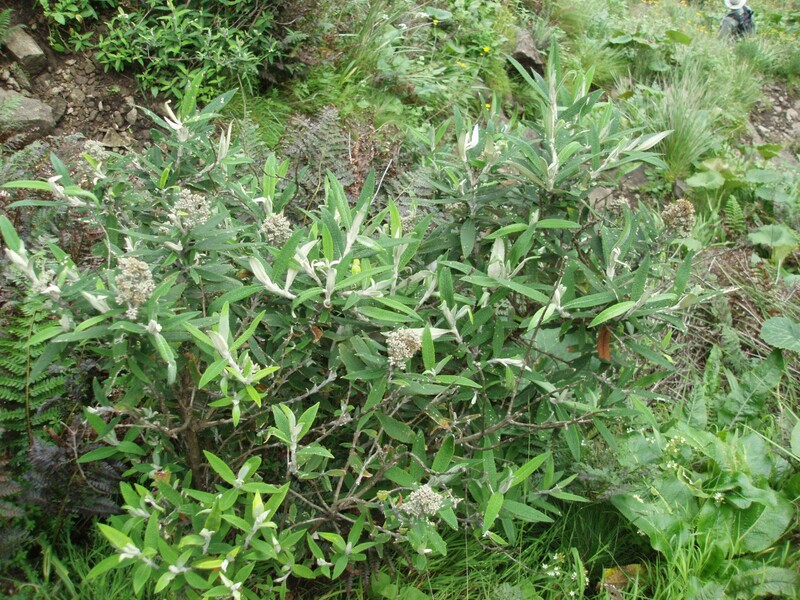 Naturally occurring throughout South Africa and Mozambique, B. loricata grows amongst rocks or in moist sheltered places on high mountain slopes above 1800m.